Ptilonorhynchidae are a family of 20 species of birds commonly called bower birds. They are a largish relatively long lived family of birds. The males are not as spectacularly colored as many other birds, and the reason for this is very interesting. Males attract female attention by doing a dance a structure they build which is called a bower. 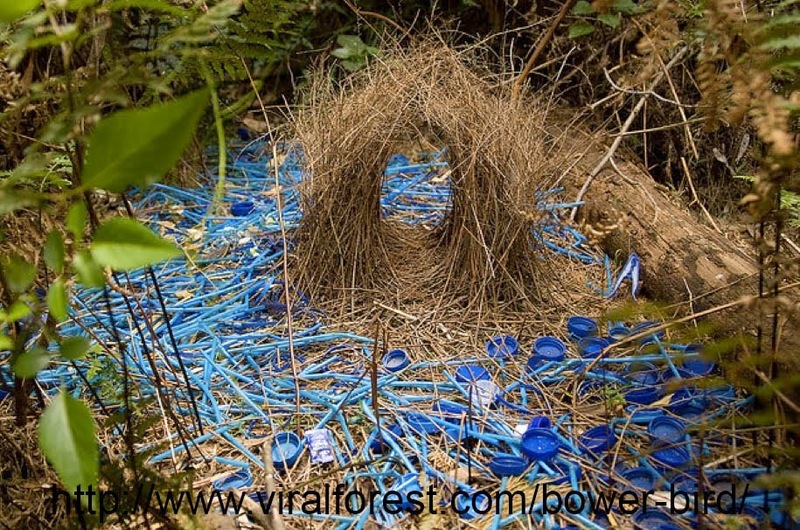 The bower is not a nest but a display to attract females. 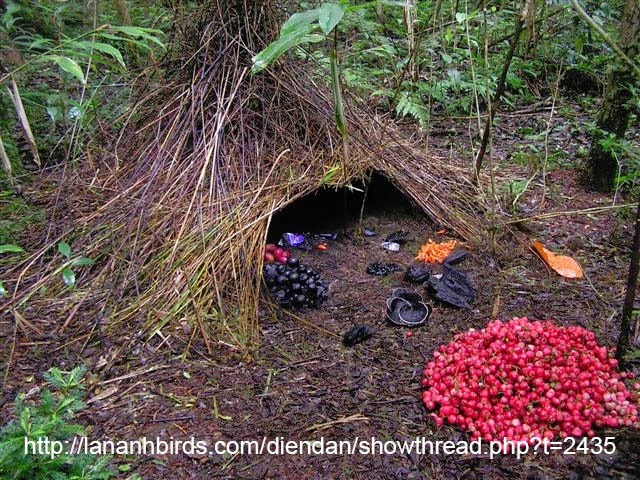 Bower birds collect several items of a particular color to decorate their bower to attract the females. The color of the items varies with species. This behavior is supposed to have evolved from a need to prove to the females that the male is a good forager. It shows that he is good enough at collecting food that he can waste time collecting hundreds of useless rare items. Think of it as the avian equivalent of buying a Ferrari. By mating with a good forager the females increase the chance that their offspring will also be good foragers. Their dance is also funny to watch. 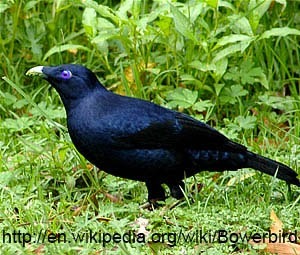 Bower birds are found in Australia and New Guinea.